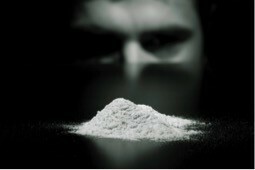 Cocaine addiction could be cured with magnets according to new research. Italian scientists used magnets to stimulate cocaine addicts brains and discovered that it greatly reduced their craving for the drug. The study published in the science journal Neurophsychopharmacology explained that scientists targeted the dorsolateral prefrontal cortex are of the brain with a treatment known as trans cranial magnetic stimulation. Of 16 addicts treated, 11 managed to kick the drug – a remarkable success rate compared to only 3 out of 16 in the control group. This admittedly strange, but totally painless, medical process could open up a whole new area of drug addiction treatment.